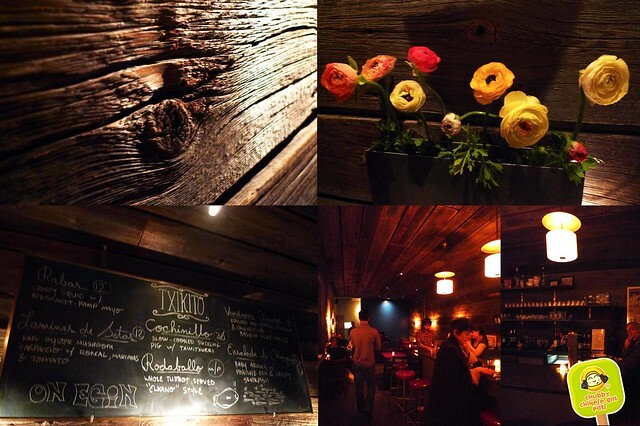 A warm and cozy atmosphere. Friendly staff. Great to hang out at the bar or call ahead for a table. Start off with Patatak Meintaiko, perfectly crisp fries with a Japanese twist of Spicy cod roe mayo, just like the one I’ve had in Tokyo. Creamy, sweet with a pop of umami. 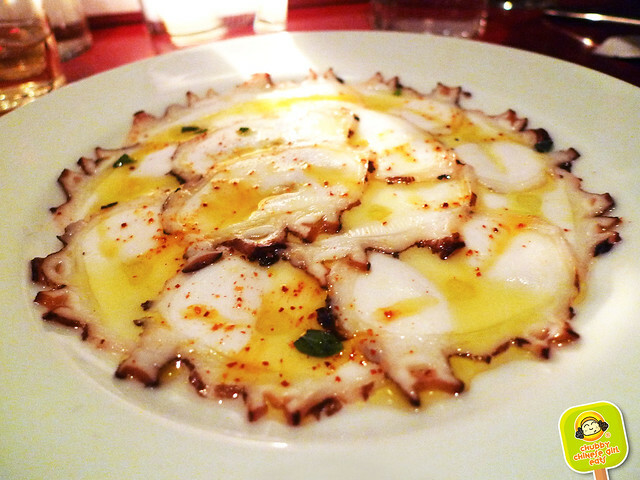 Pulpo: Octopus Carpaccio with lemon oil, marjoram, piment d’espelette (a variety of chili pepper from France) is NOT TO BE MISSED. 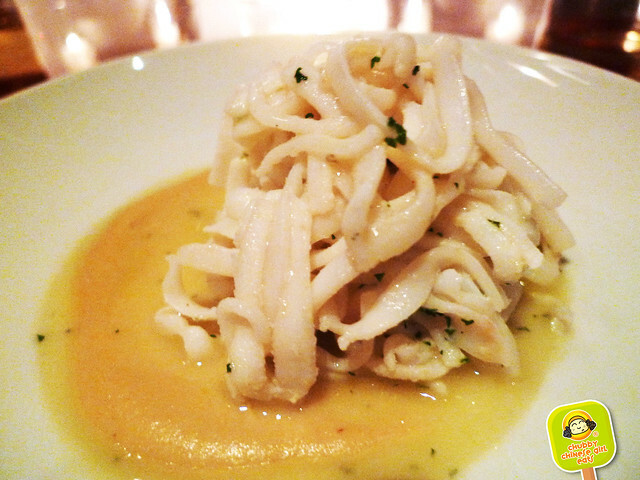 Thin tender pieces of octopus with hints of bright citrus and an aromatic dust of chili pepper. Subtle and simple in the best way possible. 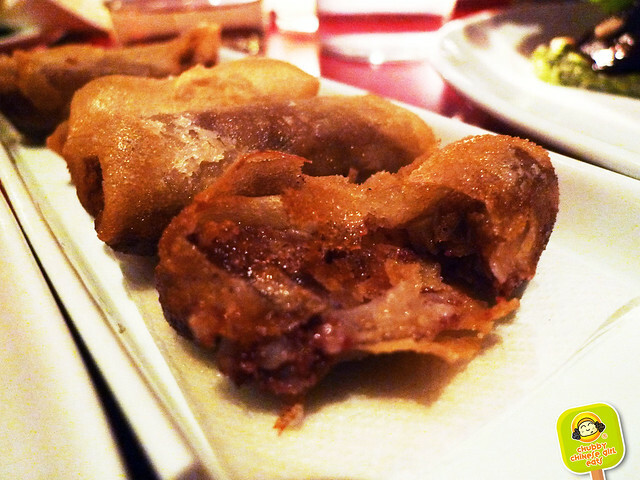 Morcilla: Crispy blood sausage filled bundles are like spring rolls gone wild. Don’t let blood scare you, it’s been heavily seasoned with spices and onions. All you get its a deep rich creamy filling, it really isn’t as adventurous as it sounds, I highly recommend it. Txipiron “encebollado”: Squid ribbons a la plantxa with sweet onion and pine nuts is another one of their signature dishes. Tender strips of squid, naturally sweet, with a tad of grilled flavor that’s enhanced by the magnificent perfume of the tiny pine nuts. A garlic oil infusion dance around the plate, I always want to lick the plate clean. 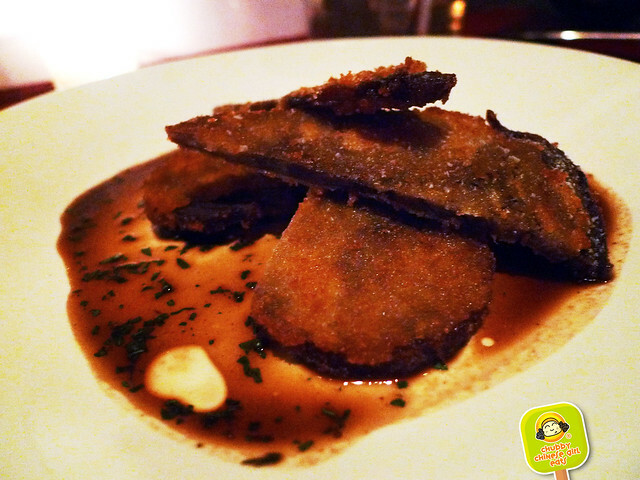 Lengua: Crispy beef tongue with mustard espanola and cornichons has a schnitzel like exterior, fried to perfection. The tongue could actually pass as really tender beef. Love the combination of flavors here. 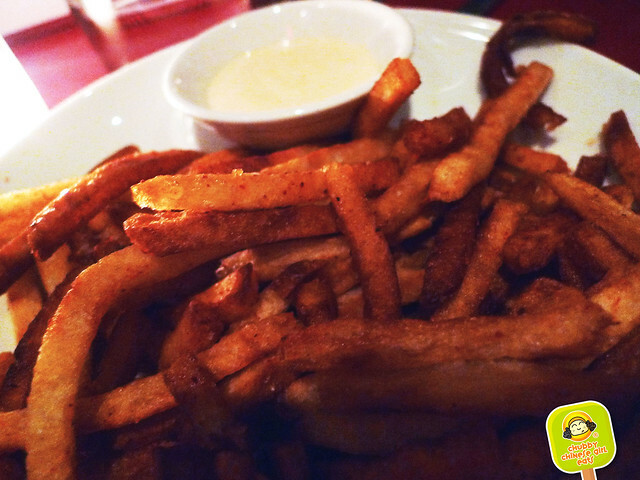 The mustard hits you with that punch you get from wasabi and the sauce has a tangy finish. 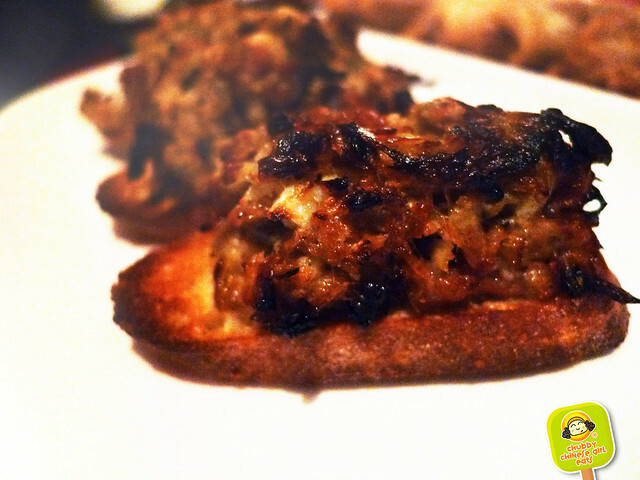 Their Pintoak (Basque Canapes) are always dressed to delight. One of my favorite is the Tutera: Gratin of artichoke with roncal and jamon. Great textures from the artichoke, the nutty cheese and smokey ham. 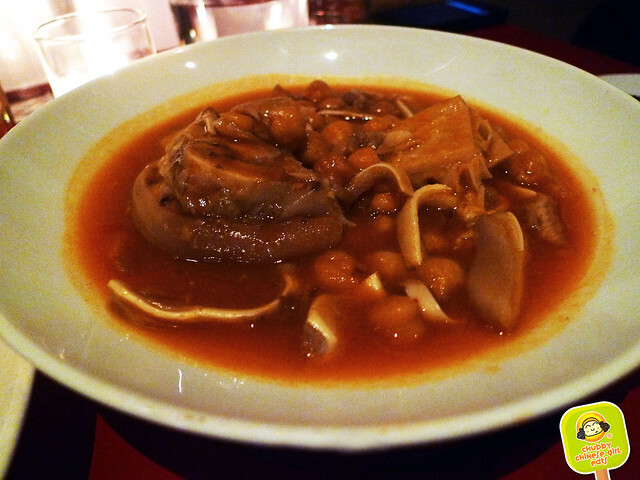 Txarripatak: Trotters and tripe with beef tendon, chickpea and choricero pepper. This is the ultimate comfort/hangover dish. Everything is cooked super tender. The choricero pepper is what seasons the chorizo, therefore giving it that distinct meaty, smokey flavor. This beats the Mexican menudo any day. DAILY SPECIALS you can’t go wrong with whats in season and fresh. 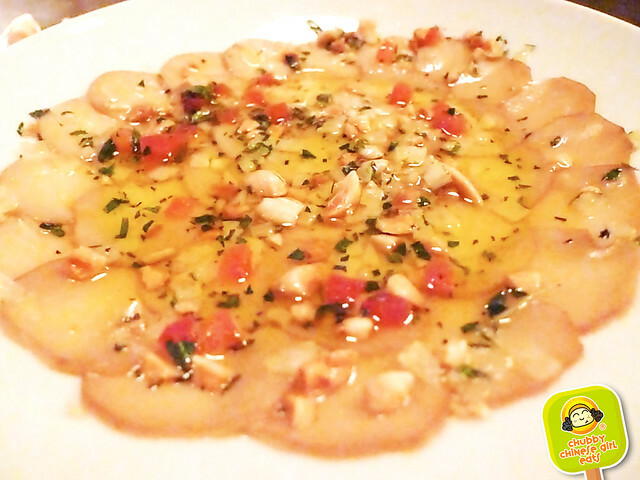 I vote for the Laminas de Setas: King Oyster Mushroom Carpaccio to be on the menu permanently! These thin layers of earthy mushroom are soaking in a garlic, tomato and herbs mixture. A nice crunch from the marconas almonds. Oh so fragrant, it lingers on the palate. I’ve been going through an anchovy phase and this was right up my alley. 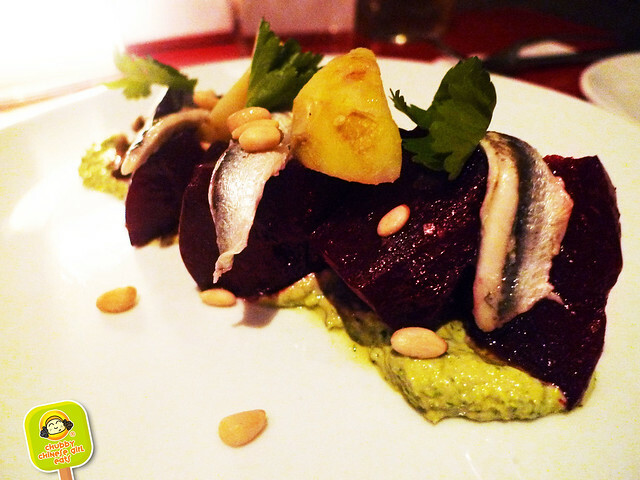 Who’d ever think that the sweet roasted beets would go so well with salty tangy anchovy and the toasted pine nuts. It was a mouthful of contrasting flavors. 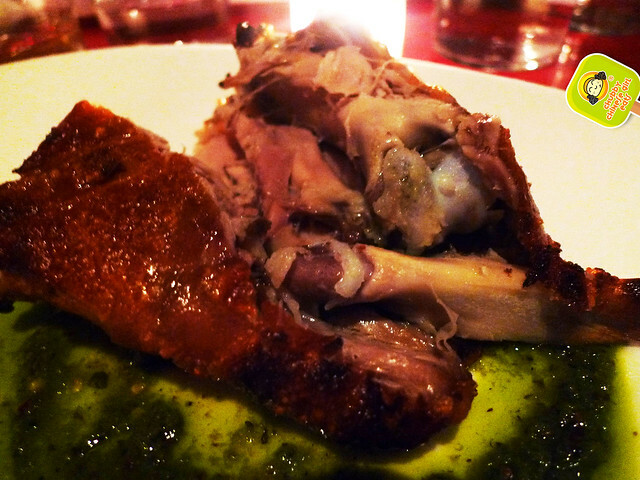 Some lucky nights, you might see Cochinillo: Slow cooked Suckling Pig with Chimichurri. 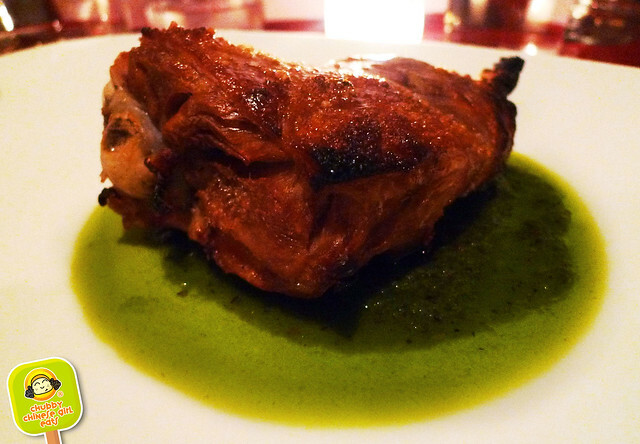 Tender, juicy and ohhhh that crispy skin I love. And that bright garlicky sauce. I’m from the land of chimichurri aka Argentina, so this wasn’t the best version I’ve ever had (I like it a bit more intense, with a kick of some sort), but it surely did the job to cut the fat with the fresh herbs and a bit of vinegar. Last time I was there, they had their version of a Roasted Eggplant. The eggplant was soft and tender, kissed by fire. 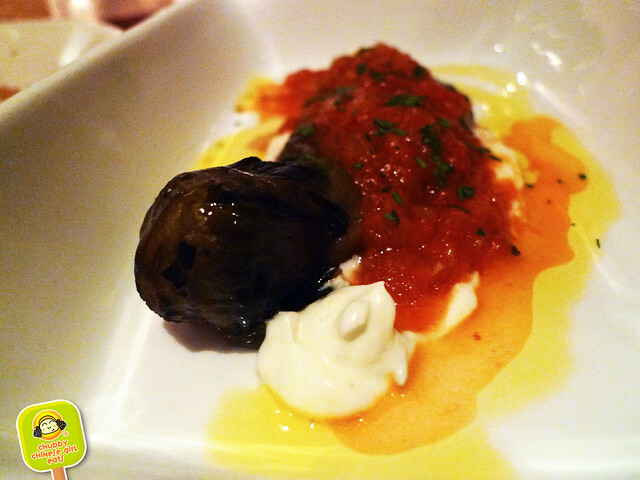 The cheese was melt in your mouth Burrata and a sweet and tangy tomato sauce on top. Very luscious. When they have fish specials, rest assure on the freshness and simple preparation. What else does it need? 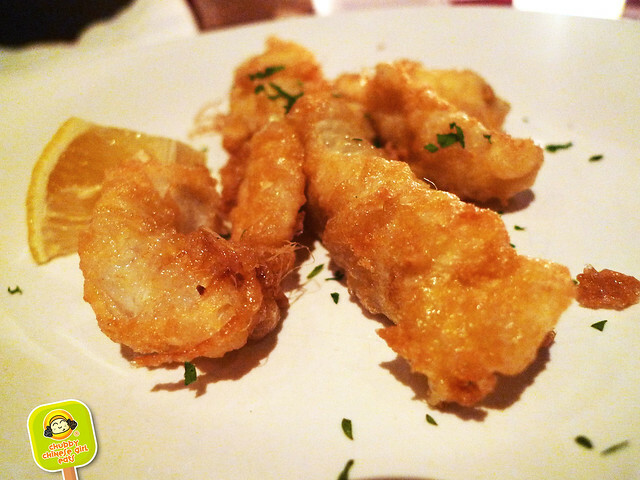 Simply battered, fried to perfection. Or whole and grilled. No complaints. Tapas is always more fun with friends. Sharing everything over a nice glass of wine. This is one of my to-go places when I have visitors from out of town too. The food never disappoints. And thought it was tough to choose between my other top tapas place Boqueria, Txikito came on top due to its selection of more adventurous and creative menu items and specials. the octopus looks especially good, but who am I kidding. i would eat everything.